Several weeks ago, Razer introduced their new Ultra Low-Profile Mechanical Switches which attempts to solve one of the biggest hurdles to mechanical switches being implemented in portable applications – size. Up until this point, mechanical switches were generally very thick, with Cherry MX Blues for example coming in at 18mm (~0.7″) thick. 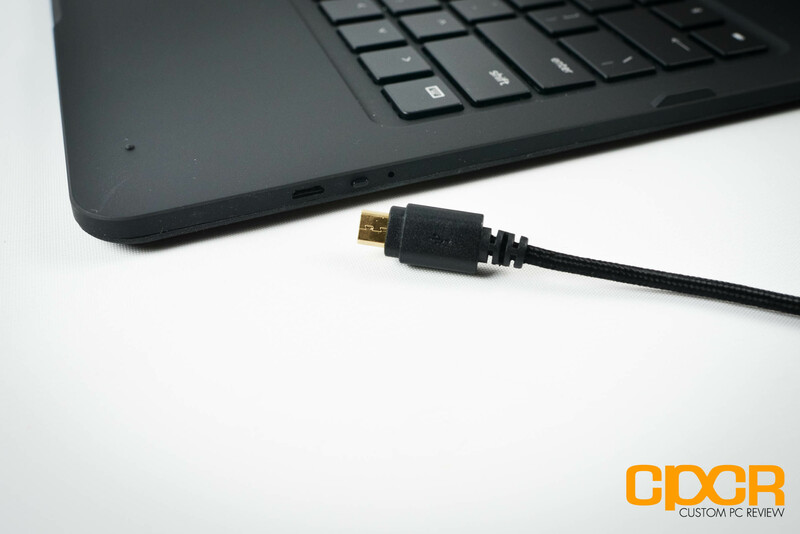 This of course is unacceptable as adding almost an inch to a tablet or a laptop would effectively make the device not very portable at all. For example, this guy. The titanic 9.9lb MSI GT80 Titan. This is why when Razer introduced their new Ultra Low-Profile Mechanical Switches, I just had to check it out. 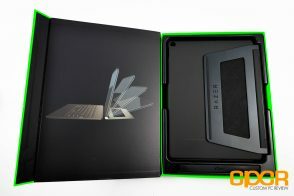 Razer decided the best way to introduce their new Ultra Low-Profile Mechanical Switches is via an Apple iPad Pro case, so today we’ll be reviewing the Razer Mechanical Keyboard Case for the Apple iPad Pro. Without further ado, let’s go ahead and take a closer look! Here’s a look at the packaging for the Razer Mechanical Keyboard Case for the Apple iPad Pro. 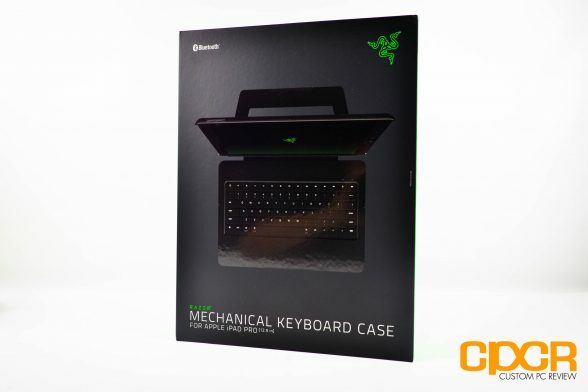 Included in the packaging is some documentation, a USB cable, and the Razer Mechanical Keyboard Case itself. 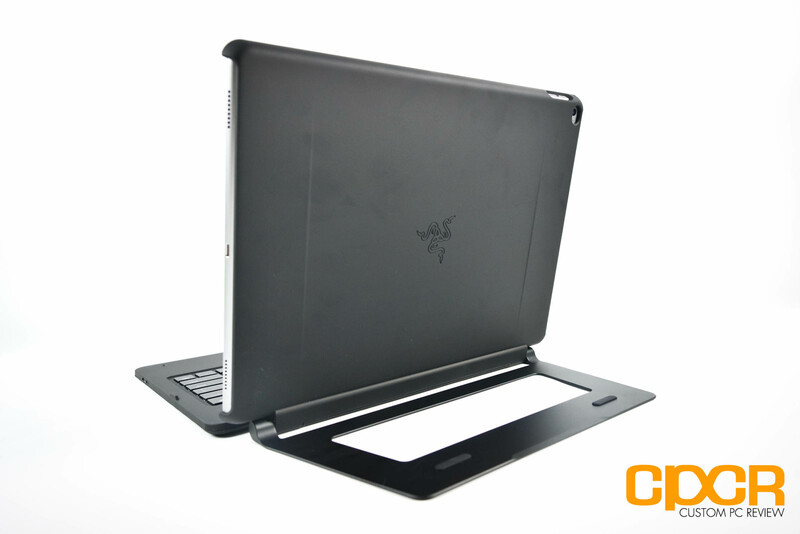 The Razer Mechanical Keyboard Case for the Apple iPad Pro is a case, stand and keyboard in one. 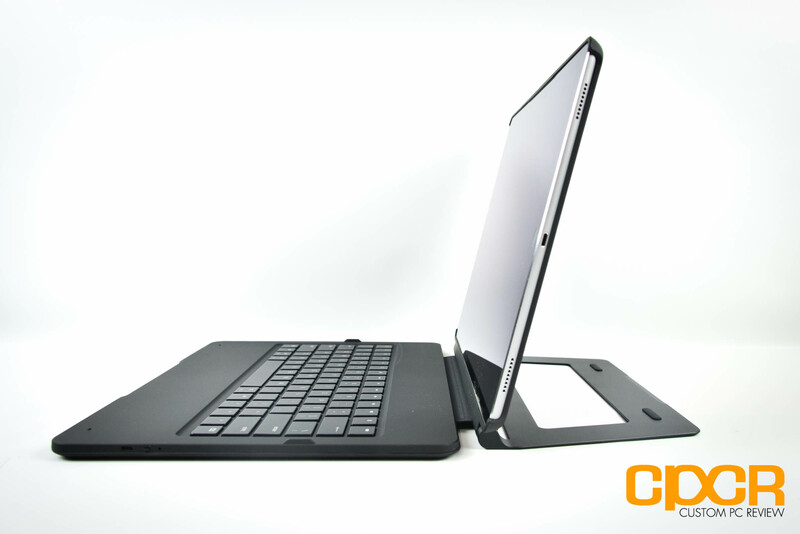 The case itself is made of a relatively thick and durable polycarbonate while the kickstand is made of metal. 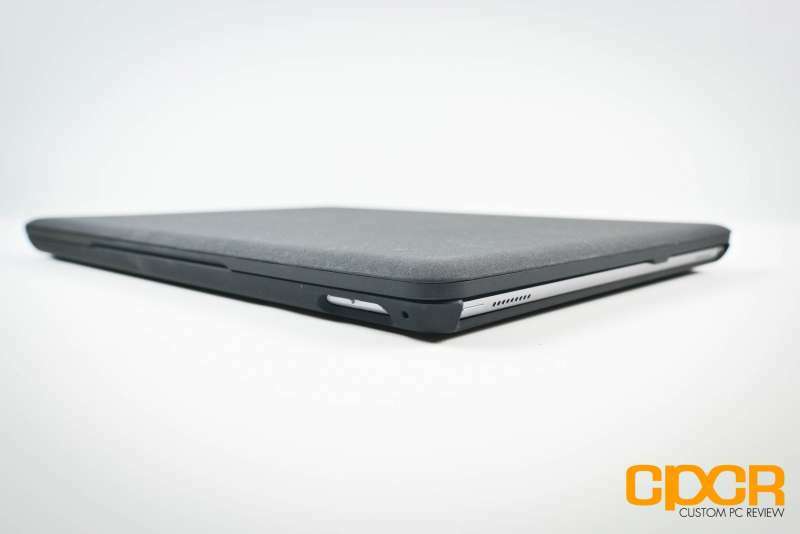 There’s only a single port on the right side of the case which is a micro-USB charging port for the internal battery. There’s also a button next to the port to turn on and off the device. 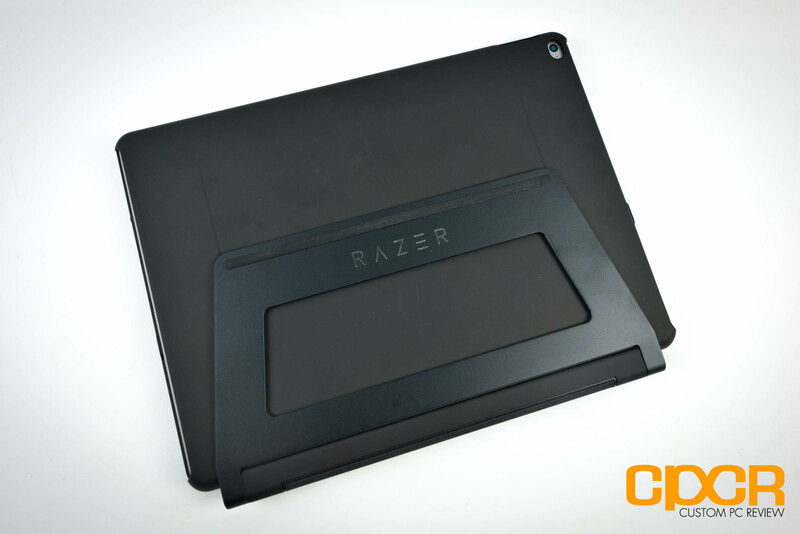 Outfitted with an iPad Pro, this is what the Razer Mechanical Keyboard Case looks like. 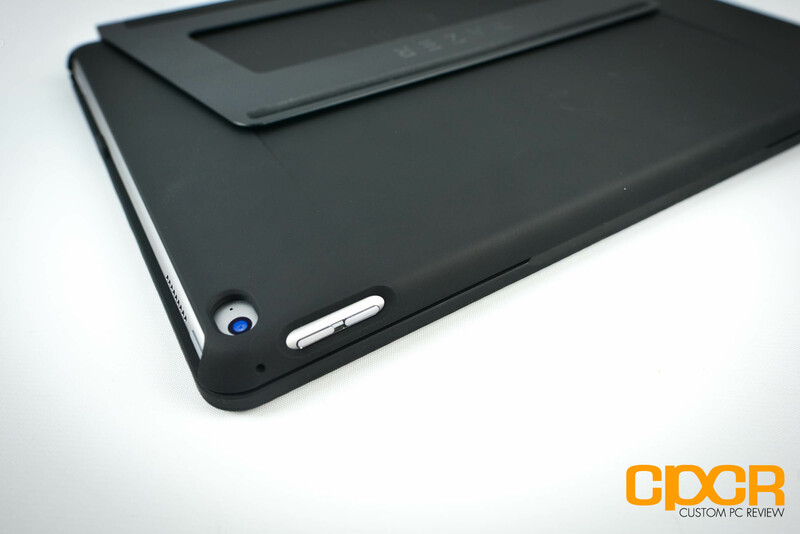 Although the case features Ultra Low-Profile Mechanical Switches, it still almost triples the profile of the iPad Pro by itself making the entire package ~0.75″ thick. In addition, the case weighs ~2.1lbs, bringing the total weight of the case plus the iPad Pro to ~3.67lbs. Here’s a look at the stand in action. 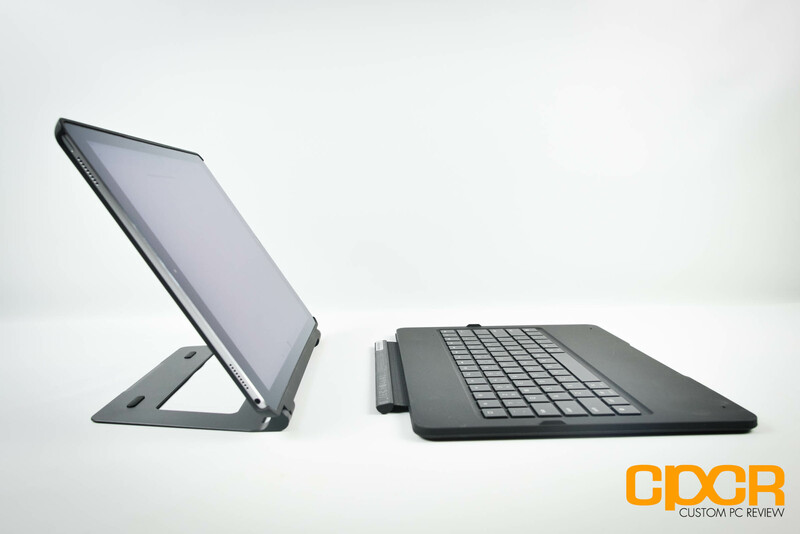 It’s a very sturdy stand, which will ensure your iPad Pro stays standing, unlike most case stands on the market. The keyboard can be detached from the stand for those looking to use it from a farther distance, or if you simply want to reduce weight when the keyboard isn’t needed. 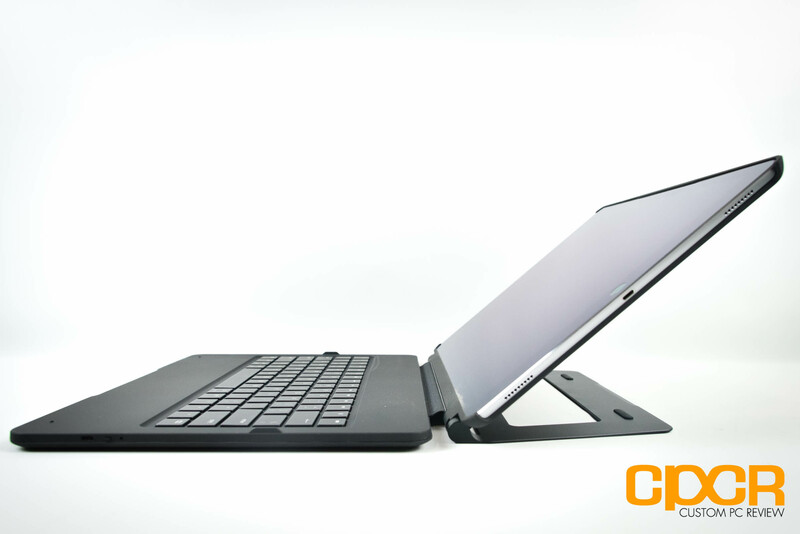 Unfortunately with the keyboard removed, your case won’t be able to provide any sort of screen protection for the iPad Pro. At the top right corner there’s two LEDs – one red and one blue. The red one lets you know when the unit is charging and the blue one lets you know when the keyboard is turned on, when it’s in pairing mode, and how much battery is available. The LEDs turn off during use to save power. Getting the Razer Mechanical Keyboard case connected is very easy, as is connecting practically every Bluetooth device these days. Once the keyboard is on simply go into the iPad’s Bluetooth menu, select the Razer Keyboard, enter the pairing code into the keyboard, and the keyboard should connect. Here’s a look at the keyboard portion of the case. 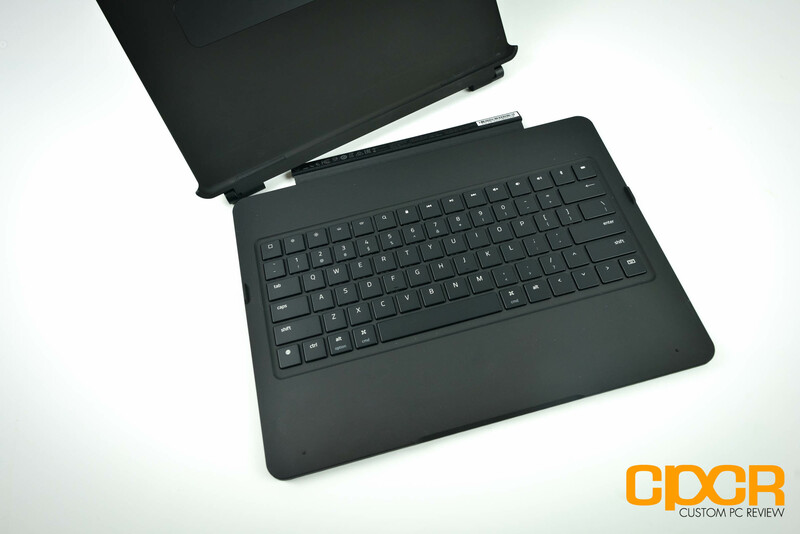 Razer chose a 60% modified US layout for the keyboard since a more compact layout is needed for a device with just a 12.9″ screen. 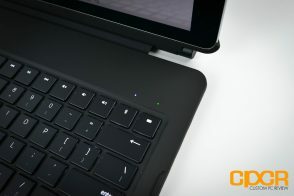 The keys are fairly large for a tablet keyboard although Razer did make some slight modifications in order to fit in the arrow keys at the bottom. At the top, Razer opted to include some dedicated keys rather than double up F-keys using a Fn key. 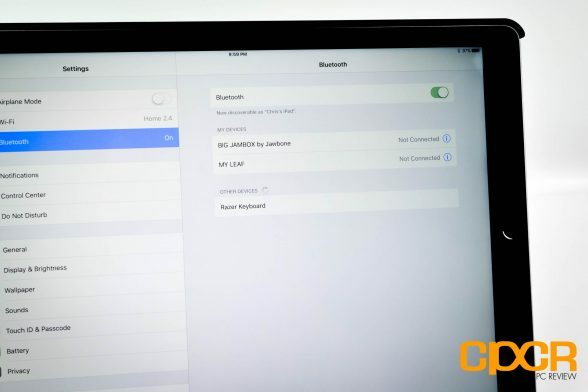 This makes adjusting volume, brightness, skipping music tracks, etc. very convenient although if you’re planning to connect this to a PC, you do lose the F-key functionality. The keyboard is also fully backlit with up to 20 brightness settings should you find yourself working in the dark. Unfortunately, the only backlight color option you get is white, which matches the typical Apple color scheme quite well. The switch on the Razer Mechanical Keyboard Case is the Razer Ultra Low-Profile Mechanical Switch, which is an all new switch recently launched by Razer. This is a clicky and tactile switch similar to what you’d find in the Razer Green, Cherry MX Blue, Kailh Blue, etc. switches. The switch itself requires just shy of 70g’s of actuation force, which is very high compared to most normal sized switches on the market, but with a total actuation distance of just under 2mm and an actuation distance of ~1mm, this is necessary to keep the keys from being accidentally pressed during regular use. 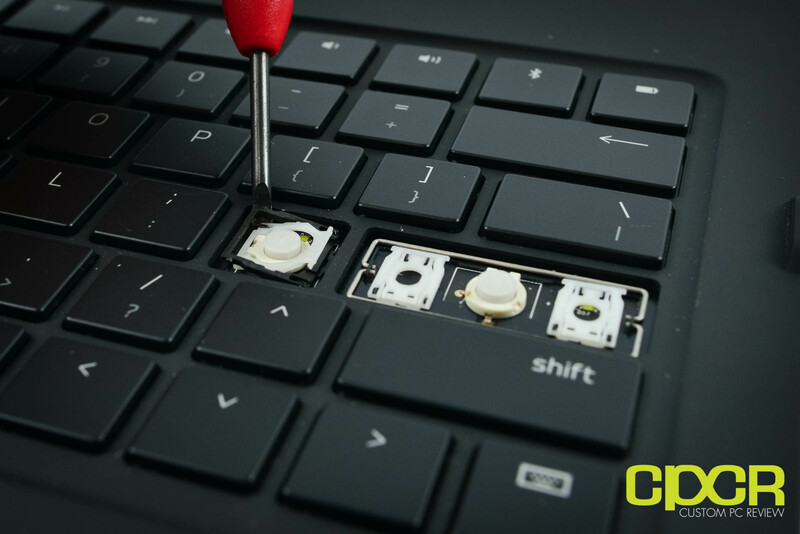 Since the Razer Mechanical Keyboard Case is designed mainly for typing, we did the bulk of our testing typing on the keyboard and found that it performed surprisingly well. 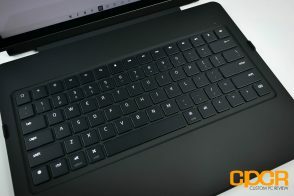 After spending a brief moment getting oriented with the keyboard’s slightly modified layout (right shift is shortened for example to make way for the arrow keys), working with the Razer Mechanical Keyboard Case was a dream, especially in comparison to the wide gamut of portable Bluetooth keyboards on the market. In typing up this review, the Razer Ultra Low-Profile Switches felt very good, with a distinct tactile feel as soon as the key is actuated. 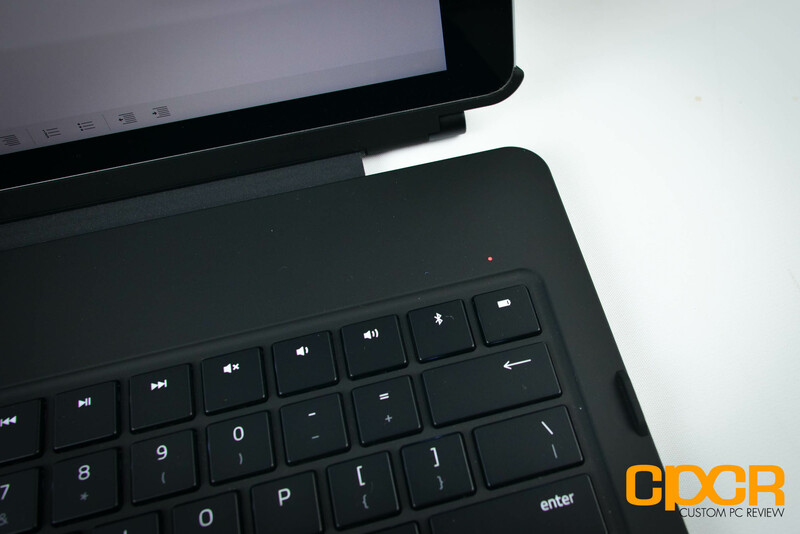 This significantly reduced my typing errors and greatly increased my typing speed when compared to my trusty AmazonBasics Bluetooth Keyboard that I’d been using previously. That said, the Razer Ultra Low-Profile Mechanical Switches definitely aren’t as comfortable as you’d find in a full sized Razer Green or Cherry MX Blue based keyboard, but that’s somewhat expected. The smaller keyboard used on the Mechanical Keyboard Case does squeeze your hands in closer when typing and the short travel distance of the keys aren’t nearly as satisfying to type on compared to a full sized keyboard. While in testing with TyprX, I was able to achieve between 76-82 WPM with the Razer Mechanical Keyboard Case which is a good 10-15 WPM faster than I can do with my AmazonBasics Bluetooth Keyboard, but trailed the 88-94WPM when using the Razer Blackwidow Chroma. 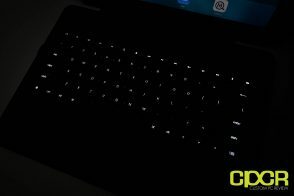 As for battery life, Razer claims that the Mechanical Keyboard Case is able to last up to ~10 hours on a single charge with the backlighting at maximum and up to ~600 hours on a single charge with the backlighting off. In testing with the backlighting at maximum, I got several days worth of use out of the keyboard so ~10 hours sounds about right. Unfortunately I haven’t had a chance to fully drain the battery with the backlighting off. 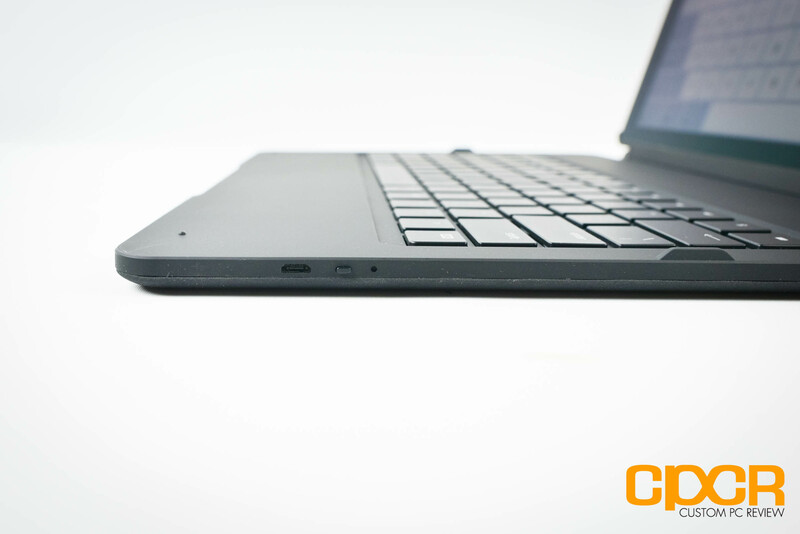 Safe to say, battery life is very good and more casual typists will find themselves going very long periods of time between charges. 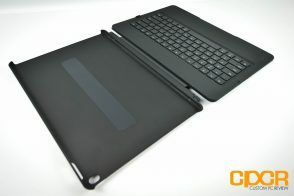 To test the NKRO/anti-ghosting functionality of the Razer Mechanical Keyboard Case (Apple iPad Pro), I’ll be using a web app developed by Microsoft’s Applied Science Group. More information about the web app and the relationship between ghosting and NKRO can be found here. The Razer Mechanical Keyboard Case was able to achieve a maximum of 10KRO in our testing. This should be perfectly fine for typing applications. It should work fine for any iOS gaming as well, but as far as I know most iOS games are either touchscreen or controller based so it doesn’t really matter anyway. Razer has always been very innovative in the mechanical keyboard arena, being one of the first to introduce a mechanical gaming keyboard, being one of the first to develop their own switch, and now being one of the first to unveil a product carrying a low-profile mechanical switch. 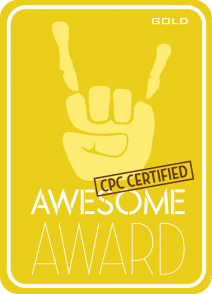 No matter how you feel about the company or their products, you really do have to applaud the company for driving innovation in a mostly stale and highly crowded industry. As for the Razer Mechanical Keyboard Case, there’s very few things I’d complain about. The construction is stellar and once you lay your hands on the case, it’s immediately obvious that the case isn’t just a gimmick simply tacked on with the keyboard. While I didn’t feel like drop testing an $800 loaned iPad Pro in the name of science, the case should be plenty of protection for most typical daily wear and tear as well as a few accidental drops in-between. 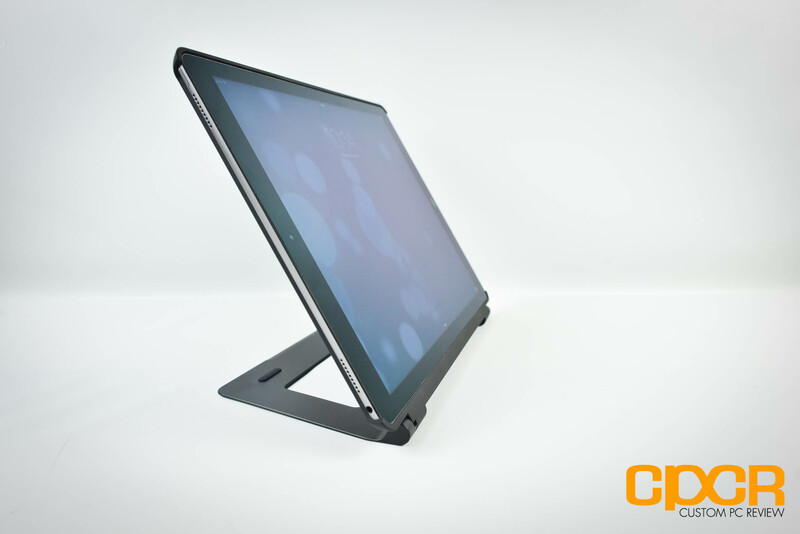 The high quality does however significantly increase the thickness and the weight of the iPad Pro, so be sure to keep that in mind if ultimate portability is your goal. As for the mechanical keyboard itself, it’s very good. 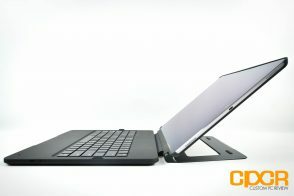 Although not quite the same as your full-sized mechanical keyboard, it definitely holds its own and being able to hear and feel the actuation of the keys is a sublime feeling for those who own mechanical keyboards yet are forced to frequently type on their tablets or laptops with mushy integrated or compact Bluetooth keyboards. 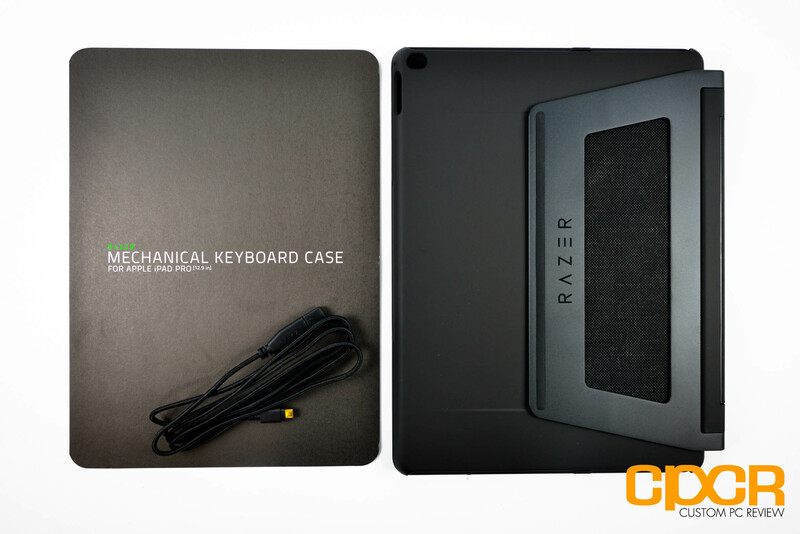 The Razer Mechanical Keyboard Case for iPad Pro is available online for $169.99, which makes it an incredibly expensive product compared to even the most expensive competitors who are able to offer their keyboard cases for under $100. However, the Razer Mechanical Keyboard Case is the only option if you absolutely need a portable mechanical keyboard to go with your brand new iPad Pro. Such is the price of innovation and being in such a niche market I guess. Ultimately, the Razer Mechanical Keyboard Case is a fantastic and highly innovative product that I’d highly recommend if price is no object. That said, I don’t see too many people dropping the $170 for the case however, what I do see is potential for what’s to come. Razer could easily implement the switches in other applications such as a standalone Bluetooth keyboard or implement them on the next generation Blade laptops, finally giving laptops a practical mechanical keyboard we’ve always wanted, but couldn’t have.